The Malay Mail played a major part in shaping veteran journalist and author, Peter Moss. Moss who turned 81 on June 27, was the first roving reporter of Malay Mail when he joined in September 1957. Although he was with the newspaper for only eight years and had spent more than 40 years in Hong Kong, he now lives shuttling between Ijok in Batang Berjuntai and at the Laguna Bay in Luzon City. “We all have those metamorphic moments that spin our lives around and send us in completely new directions. I've had several, but perhaps the most transformative was a newspaper cutting from the 'Malay Mail' newspaper in distant Kuala Lumpur,” said Moss when met at his home in Ijok. “A thoughtful aunt had dispatched this to me in England when I was desperately seeking new horizons. It was Moss’ story of his journey to Malaya from England that landed Moss his job with Malay Mail. He related: “I was born in Allahabad India, where my father (William Frank Moss) was serving the British army before India’s independence in 1947. (Mother was Holly Watson). Despite my British inheritance, my British passport and my English education, I had not developed a wholly British identity and outlook. Britain had failed to imprint herself on my psyche. Moss after completing his studies in England, was from 1950-1953 an apprentice reporter at Bexhill-on-Sea Observer, before from 1953-1955 joined the National Service with the Royal Army Pay Corps. From 1955-1957 he was a district reporter at East Sussex Express & County Herald. It was after receiving the cutting from his aunt in Malaya about the overland trip he decided to return to India. Yugoslavia, Bulgaria, Turkey, Iran, Baluchistan and India and said it took him 45 days and had 45 pounds as his pocket money – a pound a day. But when he arrived in Calcutta, he found out that Mother India too had effectively closed her doors on him in the decade since his departure as he found life difficult as an Anglo Indian because their resentment for the English. Moss’ aunt in Malaya turned saviour once again, when she bought him a ship passage ticket to board the SS Santhia, sailing from Kidderpore dock in Calcutta for Singapore passing through Burma. He had already realised that he would have problems heading to Malaya as on August 31st 1957—at the hour of his departure from London’s Victoria coach station on his overland odyssey—Malaya had severed her ties with Empire. Malaya’s independence from Britain also rang down the curtain on his chances of obtaining residential status. Moss managed to convince the immigration into giving him a one-week pass to be in Malaya by which time he was hoping to get employment and a work permit. “I had actually written to Malay Mail before I left England seeking for employment, but what I did not know was that they had replied that there was no vacancies. “When I arrived in Kuala Lumpur, I went to Malay Mail and met the editor, Martin Hutton. It was then he asked me if I had not received the letter saying that there was no vacancies. “I pleaded for a job and after I told him of my overland journey to India and then my ship to Malaya to pursue my dream to work in Malaya, then he decided to give me an opportunity to write about my travel experience. “The next I knew after my article was read by Hutton with my first byline, I was offered a job and got my working permit eventually. Moss was the chief reporter but given the roving reporter status and had the freedom to write articles which interest him and eventually became the News Editor. He worked with other journalists and editors like Derek Fenney, Alan Wolstenholme and Leslie Hoffman to name a few. Merdeka, the Rural Development Scheme, the birth of Malaysia and Confrontation with Indonesia. In 1960 he was hand-picked by Sir Robert Thomson, then Malaya’s secretary for security, to write a series of articles on the ‘Hidden War’ which continued on the Thai-Malayan border after the end of the Emergency - an assignment which attached him to operational troops on both sides of the frontier. Sunday features pages, and was given the freedom to act as roving correspondent, personally selecting off-beat assignments which took me deep into the jungles to live with aboriginal communities or visiting remote insular communities in the Malacca Straits and South China Sea,” said Moss whose life story is so intriguing that he had to write three volumes in an autobiographical that began with Bye Bye Blackbird and Distant Archipelagos and finally the No Babylon. He has to his credit authored 38 books among them include An Anglo-Indian Memoir, Memories of Malaya, The Singing Tree, The Colour of Asia, Hong Kong Handover, The Long March Back, Hong Kong Style, The Very Nature of Hong Kong, Skylines Hong Kong, Passing Shadows, Lijiang: The Imperiled Utopia, Chinese Symbolism Another City, Another Age; Hong Kong: What’s to See, Building Hong Kong, The Age of Elephants, set in India, White Guerrilla, set in Hong Kong and the Philippines; Landfall, set in Vanuatu, River in Search of a Sea, set in South Africa. Moss said he would have loved to remain in Malaya, but he could not get his work permit renewed any longer and that was when he moved out to Hong Kong in 1965, where he started off as a Senior Information Officer, with the Hong Kong Government Information Services writing feature articles for overseas publications for three years before he was promoted to Principal Information Officer, editing all government publications for another three years before he was posted to Hong Kong Government Secretariat as its first Principal Information Officer (1971-1975). He was then promoted to Chief Information Officer in charge of all government publicity campaigns and special promotions. On retirement in 1993 from the Hong Kong Government he joined Ogilvy & Mather Public Relations (HK) as Deputy Managing Director, handling public affairs and government liaison. Then in 1995 he decided to take up residence in Canada, which he described as the worst decision in his life. “I was hoping for a happy retirement in Canada, but I was miserable, lonely and really did not like the place. “It was then I decided to return to Hong Kong as consultant to Salon Films, Hong Kong’s principal one-stop film production facility. Salon Films, he has also completed twelve screenplays, one of which, based on his novel The Singing Tree. The multi-talented Moss was Appointed Justice of the Peace in 1986 and in January 1994 awarded the M.B.E. in the Queen's New Year’s Honours list. Then he decided Malaysia was his home, but could not afford the fees for making it his ‘Second Home’ and decided he will shuttle between Philippines and Malaysia. And in both places, it is friends who have made it possible to make his home. 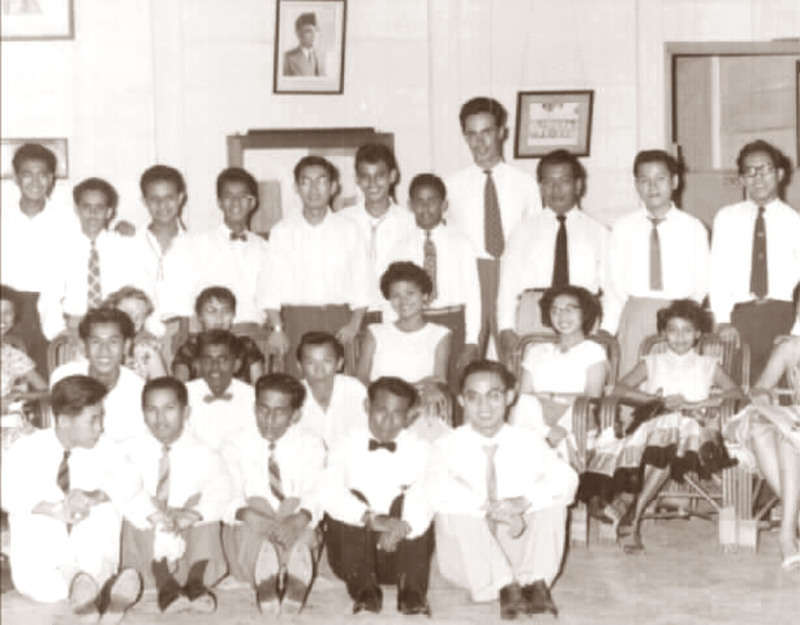 In Ijok, it was Mukti Mat Sahid, a driver, whom he befriended during his early days in Malaya for him to learn Malay and Mukti who was interested to learn English. They became good friends and he even took Mukti and his family to be with him in Hongkong and even educated the two sons – Mazli, who became a banker in Malaysia when they returned from Hong Kong. 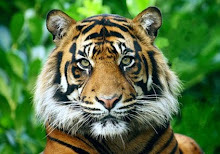 Moss’ bonding with Mukti grew strong after he had saved his life by rescuing the latter from his kampong in Ijok, where he was dying from an illness, to take him to the hospital in Kuala Lumpur and see him recover. In Philippines, it is another friend, an engineer, Rino Cantillano, whom he befriended while working in Hong Kong, who has become his other adopted brother besides Mukti, and now back in Luzon shares his home with Moss. 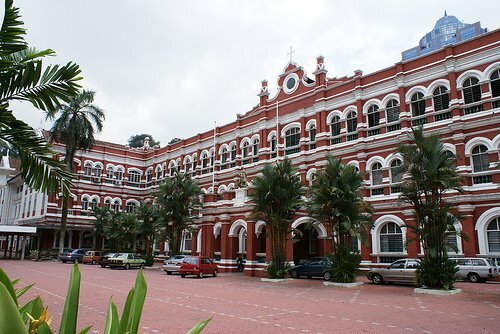 The Malay Mail in indeed an institution which has indeed played a key role in charting and shaping the lives of thousands who had worked with the paper. 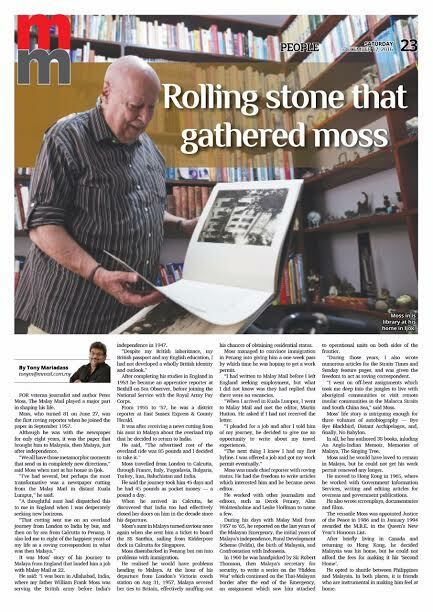 FOR veteran journalist and author Peter Moss, Malay Mail played a major part in shaping his life. Moss, who turned 81 on June 27, was the first roving reporter when he joined the paper in September 1957. Although he was with the newspaper for only eight years, it was Malay Mail that brought him to then Malaya just after independence. “We all have those metamorphic moments that send us in completely new directions,” said Moss when met at his house in Ijok. “I’ve had several, but perhaps the most transformative was a newspaper cutting from the Malay Mail in distant Kuala Lumpur,” he said. It was Moss’ story of his journey to Malaya from England that landed him a job with Malay Mail at 22. He said: “I was born in Allahabad, India, where my father William Frank Moss was serving the British army before India’s independence in 1947. After completing his studies in England in 1953, he became an apprentice reporter at Bexhill-on-Sea Observer, before joining the National Service with the Royal Army Pay Corps. From 1955 to ‘57, he was a district reporter at East Sussex Express & County Herald. It was after receiving a news cutting from his aunt in Malaya about the overland trip that he decided to return to India. Moss travelled from London to Calcutta, through France, Italy, Yugoslavia, Bulgaria, Turkey, Iran, Baluchistan and India. He said the journey took him 45 days and he had 45 pounds as pocket money — a pound a day. When he arrived in Calcutta, he discovered that India too had effectively closed her doors on him in the decade since his departure. Moss’s aunt in Malaya turned saviour once again when she sent him a ticket to board the SS Santhia, sailing from Kidderpore dock in Calcutta for Singapore. Moss disembarked in Penang but ran into problems with immigration. He realised he would have problems heading to Malaya. At the hour of his departure from London’s Victoria coach station on Aug 31, 1957, Malaya severed her ties to Britain, effectively snuffing out his chances of obtaining residential status. Moss managed to convince immigration in Penang into giving him a one-week pass by which time he was hoping to get a work permit. “I had written to Malay Mail before I left England seeking employment, but what I did not know was they had replied that there were no vacancies. “I pleaded for a job and after I told him of my journey, he decided to give me an opportunity to write about my travel experiences. Moss was made chief reporter with roving status. 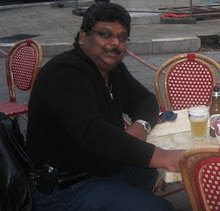 He had the freedom to write articles which interested him and he became news editor. He worked with other journalists and editors, such as Derek Fenney, Alan Wolstenholme and Leslie Hoffman to name a few. During his days with Malay Mail from 1957 to ‘65, he reported on the last years of the Malayan Emergency, the initial years of independence, the Rural Development Scheme (Felda), the birth of Malaysia, and Confrontation with Indonesia. In 1960 he was handpicked by Sir Robert Thomson, then Malaya’s secretary for security, to write a series on the ‘Hidden War’ which continued on the Thai-Malayan border after the end of the Emergency, an assignment which saw him attached to operational units on both sides of the frontier. 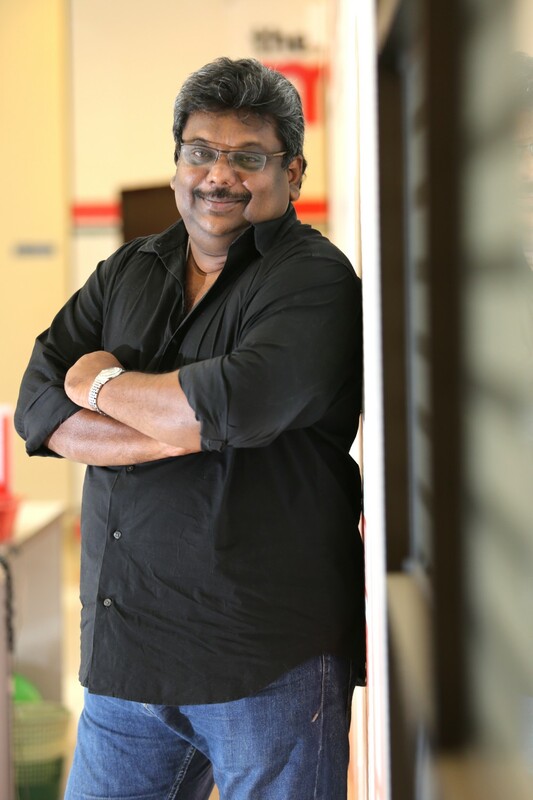 “During those years, I also wrote numerous articles for The Straits Times and Sunday feature pages, and was given the freedom to act as roving correspondent. “I went on off-beat assignments which took me deep into the jungles to live with aboriginal communities or visit remote insular communities in the Malacca Straits and South China Sea,” said Moss. Moss’ life story is intriguing enough for three volumes of autobiography — Bye Bye Blackbird, Distant Archipelagos, and, finally, No Babylon. In all, he has authored 38 books, inluding An Anglo-Indian Memoir, Memories of Malaya, and The Singing Tree. Moss said he would have loved to remain in Malaya, but could not get his work permit renewed any longer. He moved to Hong Kong in 1965, where he worked with Government Information Services, writing and editing articles for overseas and government publications. He also wrote screenplays, documentaries and films. The versatile Moss was appointed Justice of the Peace in 1986 and in January 1994 awarded the M.B.E. in the Queen’s New Year’s Honours List. FOR REMEMBRANCE: The interview done at Peter Mos's home in Ijok. Librarian Ong Ho Hin a very good friend of Peter came along. It was great to meet Peter. After briefly living in Canada and returning to Hong Kong, he decided Malaysia was his home, but he could not afford the fees for making it his ‘Second Home’. He opted to shuttle between Philippines and Malaysia. In both places, it is friends who are instrumental in making him feel at home.